Ms. Li Yaying, Deputy Director-General of the Bureau of International Exchange and Cooperation, Ministry of Culture and Tourism of China, chaired the session on behalf of the chairperson of the Governing Board. 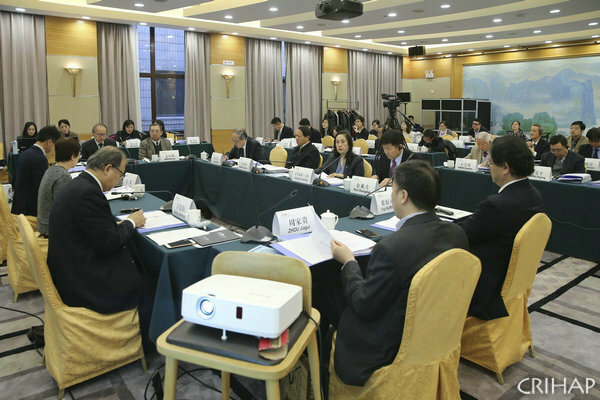 More than 40 people attended the meeting, including members of the Governing Board and Advisory Committee of CRIHAP, representatives from China’s Ministry of Culture and Tourism, the China National Commission for UNESCO, the Chinese National Academy of Arts, the UNESCO Office in Beijing, the International Research Centre for Intangible Cultural Heritage in the Asia-Pacific Region under the auspices of UNESCO (IRCI), and the International Information and Networking Centre for Intangible Cultural Heritage in the Asia-Pacific Region (ICHCAP). The CRIHAP Secretariat submitted its work report and financial statement for fiscal year 2017 to the Governing Board and briefed the board on its work plan and budget for fiscal year 2018. In 2017, CRIHAP organized eight capacity-building training workshops under the framework of the 2003 Convention in China, New Zealand, Kyrgyzstan, Mongolia, Republic of Korea, Nepal and Pakistan. CRIHAP has carried out very specific work focusing on the training of trainers. For example, to facilitate the implementation of UNESCO’s capacity-building strategy in Central Asia and train Russian-speaking potential facilitators for UNESCO, CRIHAP organized its first workshop in Central Asia in 2017 in cooperation with UNESCO headquarters. Two workshops for Chinese trainers have taken place in Suzhou, East China’s Jiangsu province. In addition, the centre also tried to add more content to the training. For example, CRIHAP conducted a capacity-building workshop on the implementation of the Convention for media practitioners in Mongolia, and post-disaster assessments were, for the first time, included in the training during the workshop in Nepal. Through joint training courses, cooperation with ICHCAP and other Category 2 centers has been strengthened. In 2017, CRIHAP continued to conduct training workshops for South Pacific countries in New Zealand. Taking the Cambodian training workshop as an example, CRIHAP tried to evaluate the training result to understand the effectiveness of the workshop on beneficiary countries, and started publishing the follow-up results of training for the workshops held in Mongolia and Nepal. 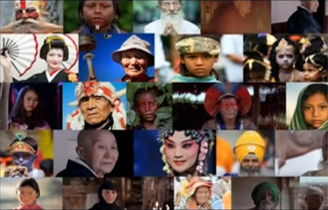 Also, CRIHAP has actively participated in international exchange activities in the field of intangible cultural heritage within the framework of UNESCO.